We want you to have some fun. Play our surprise game and we will donate to Sick Kids. This year we wanted to do something fun!!! Click here to play our custom built game. Thank you to all the REM staff for their hard work building the game in time for the holiday season. 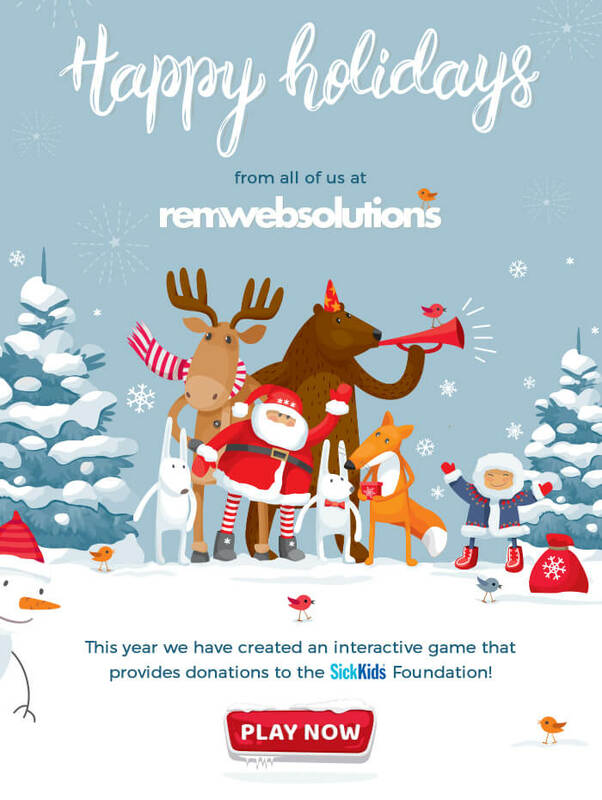 For each person that plays, REM will donate $1 to Sick Kids Foundation. As a friendly note: We will be closed on December 24, 25, 26 and January 1 to allow our team a chance to spend time with their team. We look forward to working with you in 2019.